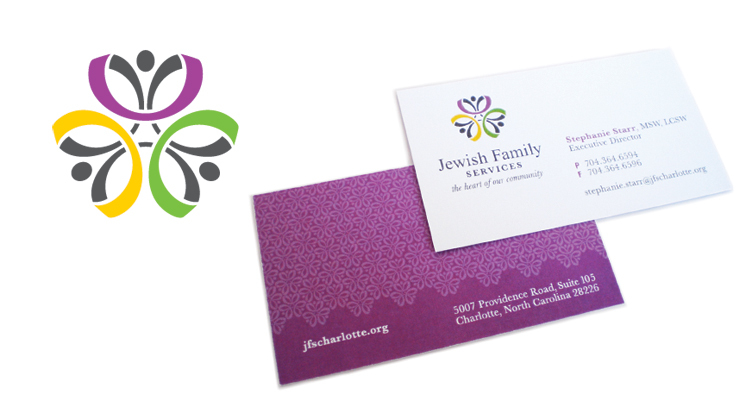 Jewish Family Services provides Greater Charlotte’s Jewish community with vital support at critical stages in their lives. This lively illustration takes an abstract view on people by interconnecting continuously to communicate the cohesive community. There is no use of traditional Jewish imagery as to not discourage anyone from taking advantage of their community care.